Successfully Added Digital Hi-Fi Stereo - Portable Media Center to your Shopping Cart. 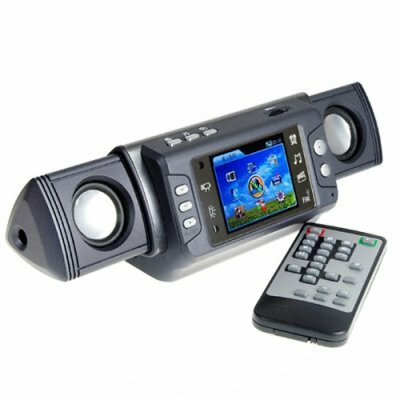 Mini portable stereo and digital entertainment center with TFT LCD screen and hi-fi speakers. Wow wow wow!!! Have you ever seen a portable digital stereo with two stereo speakers, a 2.8 inch QVGA display, 2GB of internal memory, and the native ability to play all of todays popular audio and video file formats? We hadn't until this week, and now that we have, dang are we impressed with this little digital wonder. Everything you could ever want to do with a stereo is packed into this marvel, from music and movies to books and FM radio, and the best part is, it is all made in an easy to navigate button controlled interface. This is a great digital product that can be used from anyone 8 to 80 years young! Sure to be popular with your customers, this is a great item to feature in your online or physical store and comes with a low direct to you wholesale price. Available as always with no M.O.Q. (no minimum quantity) to our loyal customers. Portable Digital Stereo for playing all your digital media files. We recommend you do not choose "Restart" after you click the buttons "M" and "ON/OFF" at the same time, otherwise you will lose all the driving software of this item. Worse still, you will have to return it to us to solve the problem.